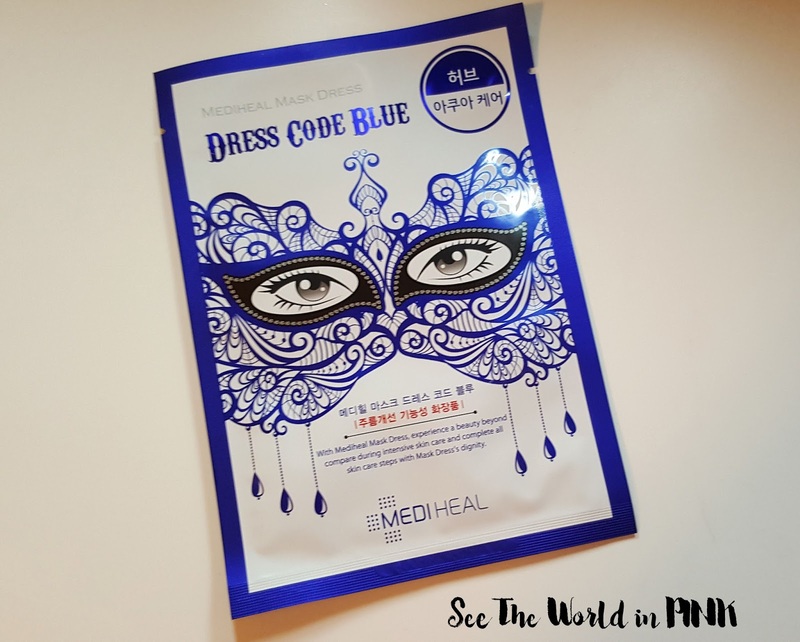 Mask Wednesday - Beauty Clinic Mediheal Dress Code "Blue" Mask! It is International Women's Day today and the requires a little celebratory mask I think! 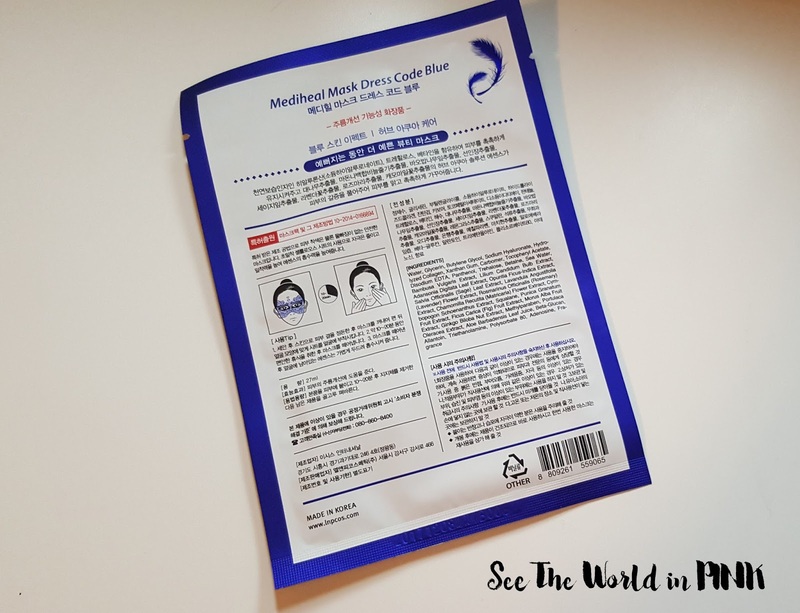 Beauty Clinic - Mediheal Dress Code "Blue" Mask ~ $3.00. Herb, Aqua care, (Anti-wrinkle function). Herb aqua solution- With this Mediheal Mask Dress Code, Experience a beauty beyond compare during intensive skin care and complete all skin care steps with mask dress's dignity. Uses a highly concentrated formulation of natural materials, helps your unbalanced skin become healthier by making it resistant to stress and restoring skin balance. 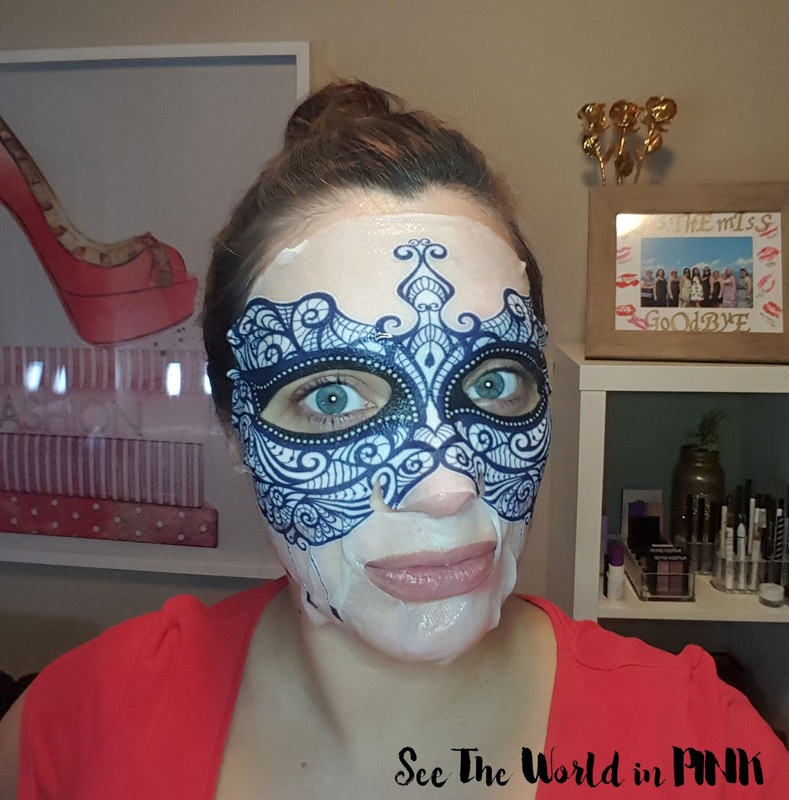 This beautiful mask by Mediheal is the perfect celebratory mask to wear! I can't rave about Mediheal masks enough - they make high quality masks that deliver results! This blue, aqua care mask is all about delivering hydration! I have featured this mask in a few Month in Masks posts before and I am impressed every time I use this just HOW hydrated it actually makes your skin! This mask is straight-forward to use - wash face, tone skin, apply mask, leave on for 10-20 minutes, remove mask, pat remaining essence in to skin, and complete skincare routine! First, I love how pretty this mask is! Not at all scary like some other printed masks are! And, also it actually delivers amazing results. My skin feels so hydrated after using - my face is nice, plump, and so so moisturized! Absolutely love - I can't rave about this enough! I can't speak to the other Dress Code masks, but I would like to try them too! Either way, this mask is an absolute love! Have you tried these pretty masks yet? !